Internationally recognized research and technology consulting firm Harbor Research released an analyst report today about, "preparing for the global information economy of the 21st century." 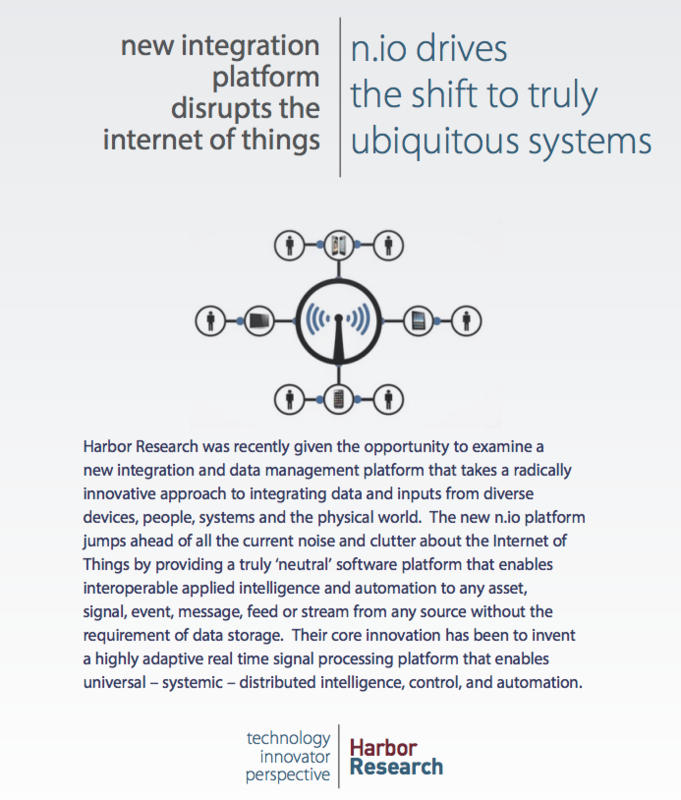 The report features in-depth analysis of the nio platform as it relates to the Internet of Things conversation. Harbor Research notes, "nio’s software innovation leapfrogs many of today’s technologies by providing a truly “neutral” software platform that enables interoperable applied intelligence and automation for any asset, signal, event, message, feed or stream from any source—without the requirement of data storage."